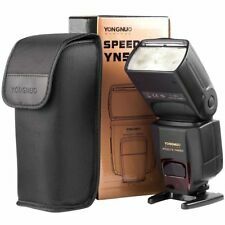 Yongnuo Speedlite YN565EX - for Nikon (AS NEW) YN-565-EX (BONUS GELS for FREE). Condition is Used. Sent with Australia Post Pre-Paid Parcel Post Satchel 3kg. 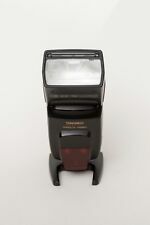 Flash is used and in very nice overall condition, see pictures for better details on condition, has been tested and works great. 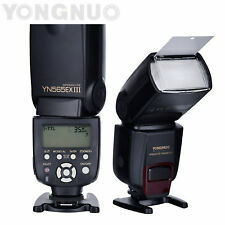 The YN565EX III is equipped with the USB interface, you can download the latest firmware from YONGNUO official website to upgrade the speedlite. External power: YONGNUO external charging, boxes like SF-18C, SF-17C (not included). Nikon D7300 D7200 D7100 D7000 D5400 D5300 D5200 D5100 D5000 D3200 D3100 D3000 D700 D300 D300s D200 D90 D80 D60 D40x D40 D3 D3x D3s D2x. 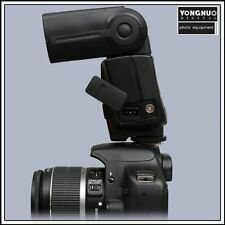 Wireless feature Yongnuo YN-565 III for Canon Yongnuo YN-565 III for Nikon. 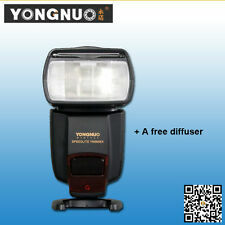 Supports Firmware Upgrade: equipped with the USB interface, you can download the latest firmware from YONGNUO official website to upgrade the speedlite. 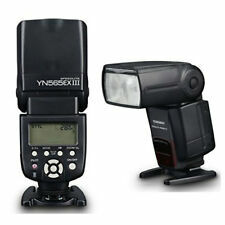 1 Speedlite. 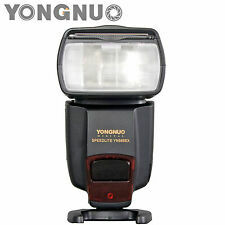 Flash mode: TTL, M, Multi. Flash Coverage: aoto, 24, 28, 35, 50, 70, 80, 105mm. 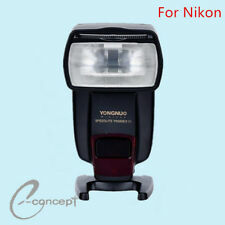 Supports Nikon Optical Transmission Wireless Slave Flash: One YN565EX III can respectively accept the master unit of YN600EX-RT II、YN568EX II、YN568EX III、600EX(II)-RT、580EX II、SB910/900/800/700, Nikon built-in flash C command, realizes external TTL and manual flash and stroboscopic flash. Wireless TTL Slave: Use the comfort of TTL wirelessly with Canon eTTL and Nikon i-TTL! 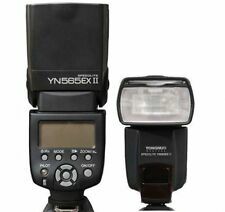 The YN-565EX II serves as a wireless TTL slave with the following devices: Canon 580EX II, Canon 7D, 60D, 600D, Nikon SB-900, SB-800, SB-700, Nikon c-command and Canon and Yongnuo ST-E2.